On Monday, September 21, 2009 (cousin Anna's 14th birthday), I got my first glimpse of you, my precious little flower! Pulling into the LifeCare Pregnancy Center parking lot, my heart was pounding. I didn't know what to expect, but I knew that I was going to be a witness to the miracle of LIFE. The very hand of God was at work within my womb, shaping and creating wonderful you, sweet baby. The Lord already knew you long before I knew I'd one day have a beautiful daughter named Lily Katherine. 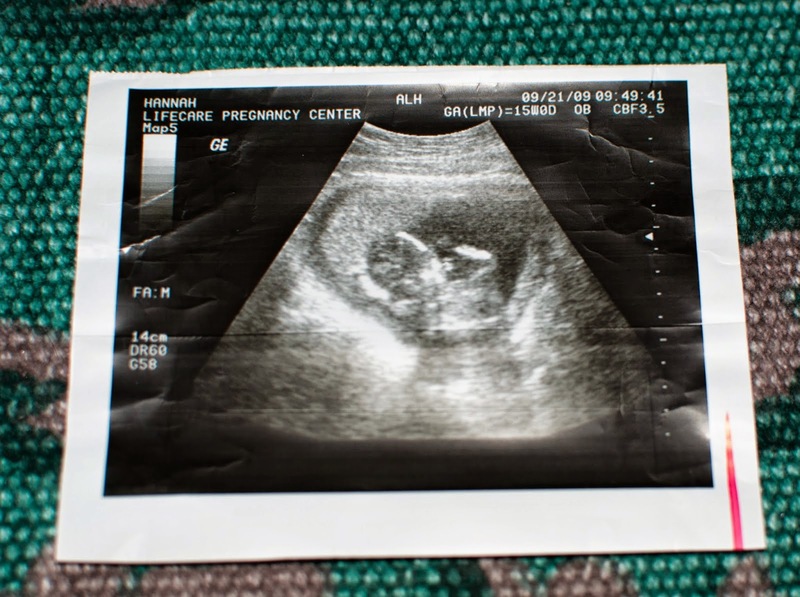 I had wanted to have an ultrasound in August at the pregnancy center in Charlottesville, but it didn't work out. I had wanted to have one the week before at LifeCare when I initially went in and had a pregnancy test, but had to wait. I was in my second trimester of pregnancy, at 15 weeks and 1 day gestation. I had longed for this day my entire life, the day that I'd see with my own two eyes that I was a mother. Grandma Dukes, Auntie Em, and I went back to the little ultrasound room and I got up on the table. I had a 9:30 a.m. appointment. Hanging on the wall right across from me was a painting of a lily. My heart already knew you were a girl named Lily. I didn't need anyone to tell me that. Seeing the lily painting was like a sweet gift from the Lord, who knew your gender, name, and purpose already. My heart was bonding with your heart, little girl. A few months later, I went back into that same room where I saw you for the first time and the painting was gone. I found that strange and disappointing because I wanted to take a picture of it. The cold gel was put on my belly and the wand started moving around. I held my breath in anticipation. There you were on that screen! You must have known we were watching you because you decided to give us a little show. You were dancing and squirming all over the place! Flip, flip, flop. Laughing, I joked, "if this is any indication of what's to come, I'm going to have my hands full!" You were so tiny, yet already so developed and full of life. You were my baby and I was amazed at what God was doing. I was amazed at the beauty and miracle of LIFE. I was so happy to take home a couple ultrasound pictures - your very first photos!